JD Bank. Let’s Go Home. There’s nothing like home. At JD Bank, we know home matters. Our home lenders are local, with decades of experience helping individuals and families with home loans that are a perfect fit. From application to closing, JD Bank makes the experience of buying or refinancing a home all about you, and achieving your dreams. At JD Bank, we don’t build houses, we don’t sell them, we don’t deliver furniture or install appliances. But we do get people home. For 70 years, JD Bank home lenders have brought their resources and knowledge to help local people purchase a home. Our construction loans include land, interim and permanent financing. JD Bank will take you from buying the property, through building your dream home, and after completion, into the permanent financing for your home. We make the process simple and seamless, and it is all under one roof to eliminate additional closing costs. Our Mortgage Department in Lake Charles is located at 4989 E. McNeese St. in our Morganfield branch office, or you can reach a member of our team by calling 337-474-1890. 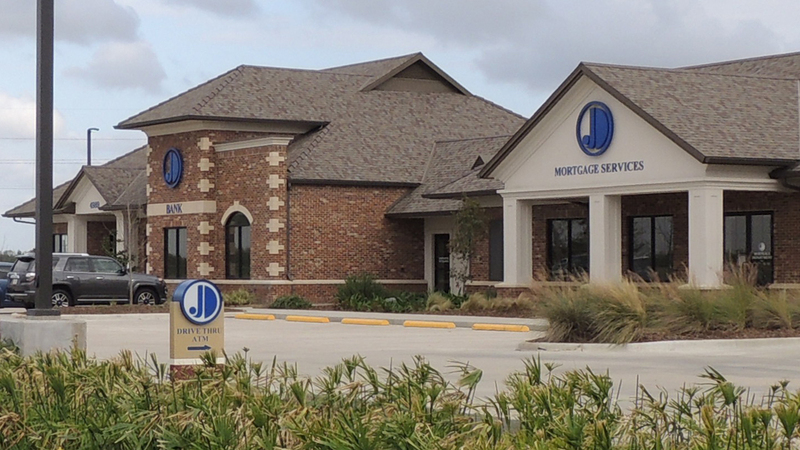 To serve all of Acadiana, our Mortgage Department in Lafayette is located at 300 Verot School Rd. Reach a member of our Acadiana mortgage team by calling 337-500-1318. Email any of our JD Bank mortgage advisors directly by clicking the link under their photo. Let us bring home a little closer to you. Whether you’re a first-time buyer, purchasing your next home or refinancing your current one, we can help. Let’s Go Home. JD Bank is an Equal Housing Lender, Member FDIC.